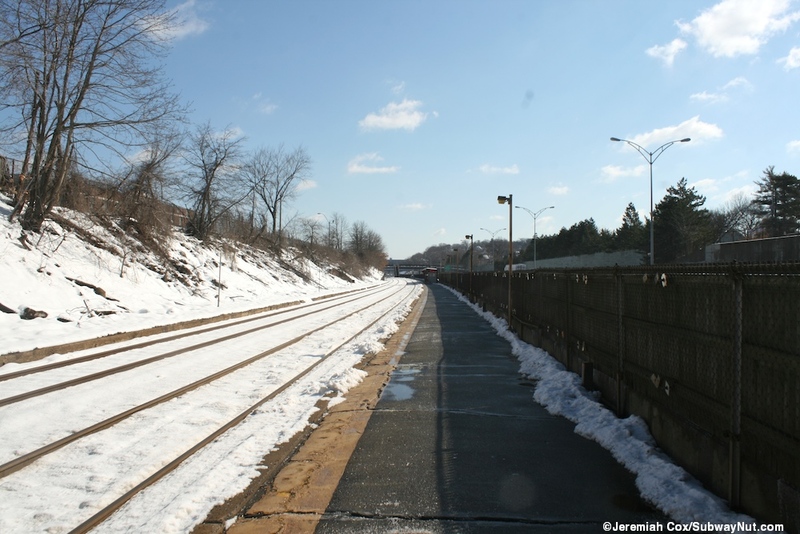 Newtonville is a dump of a station on the Framingham/Worcester Line located along the right-of-way of the Mass Pike (I-90) that was built along the Boston and Albany Railroad Line between 1962 and 1964 reducing the railroad to two tracks and rebuilding this station. 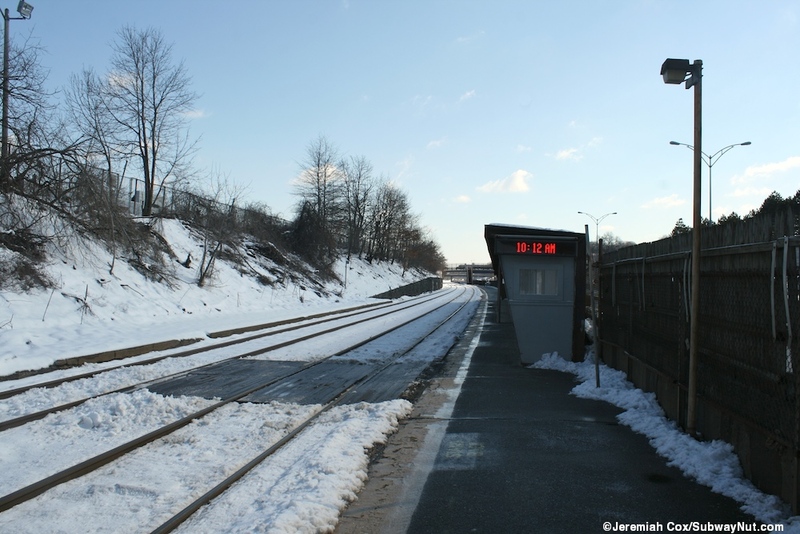 Today the station is a complete shack with a single, very long island platform along the southern track directly between the railroad line and the Mass Pike, there is a single board to allow a train on the opposite track to open a door. 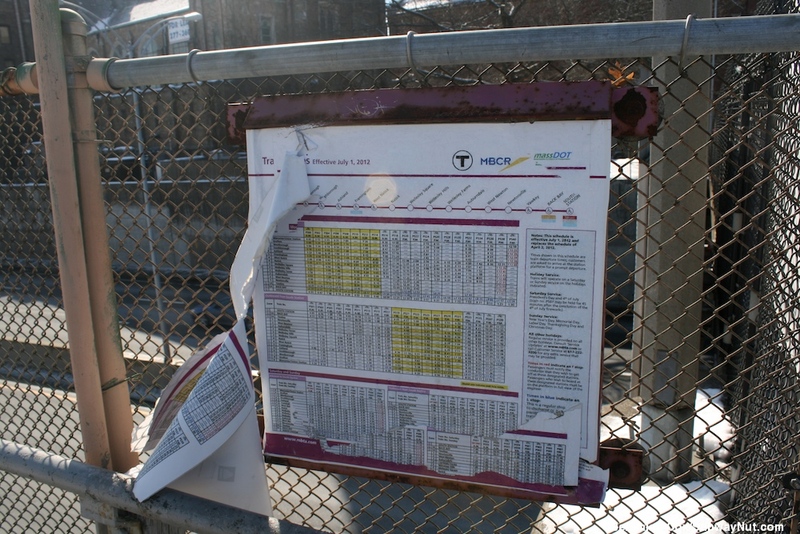 The station's highway location and prevalence of express buses into Boston keep ridership low. 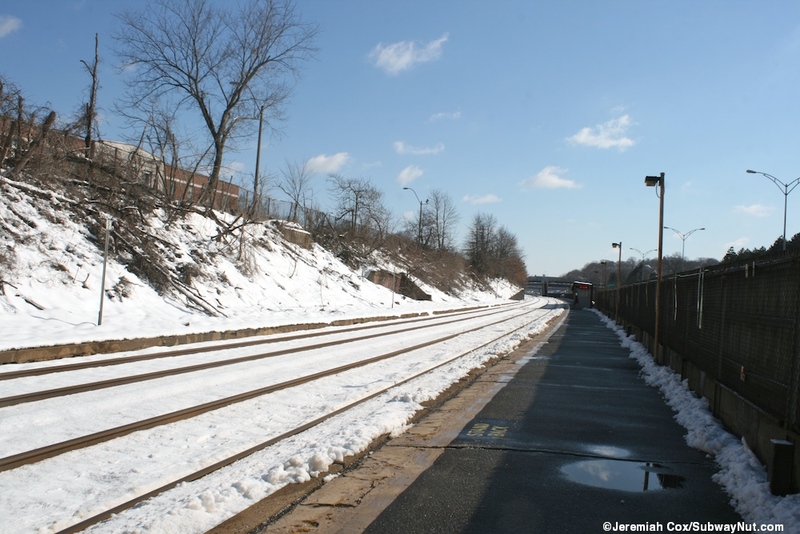 The single platform is also a hinderance to serve the station and many trains skip the station. 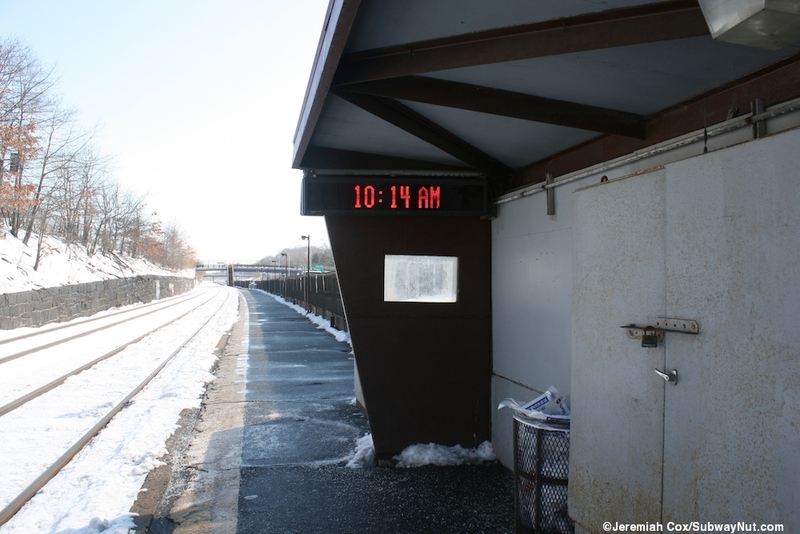 For example there is no inbound trains after 3:24pm until the final train of the evening at 1:05am. All weekend service does stop at the station. 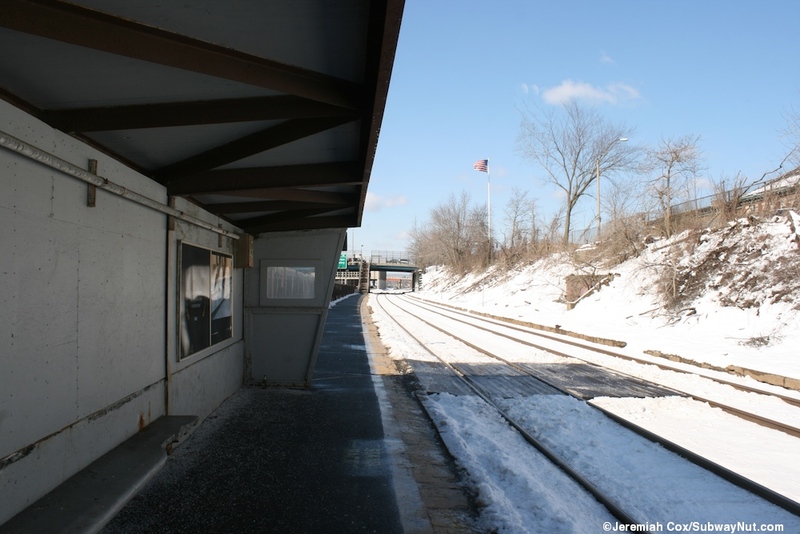 Another interesting tidbit of history for this station is that it is a former Amtrak station stop. 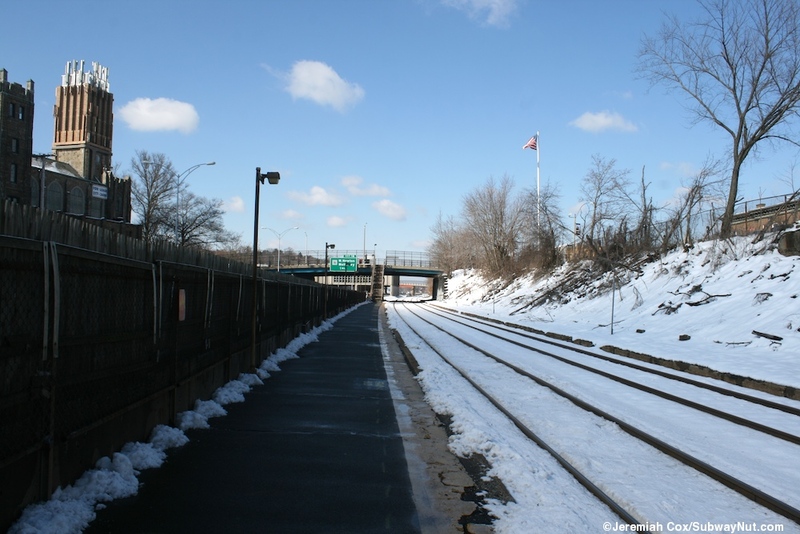 The Bay State, a train that ran via the Inland Route (via Springfield) from Boston to New Haven, New York or Washington stopped at the station beginning with the January 1972 timetable, it is a stop through the October 1972 timetable and listed as a station along the northeast corridor timetable in the April 1973 timetable but not trains stopped. 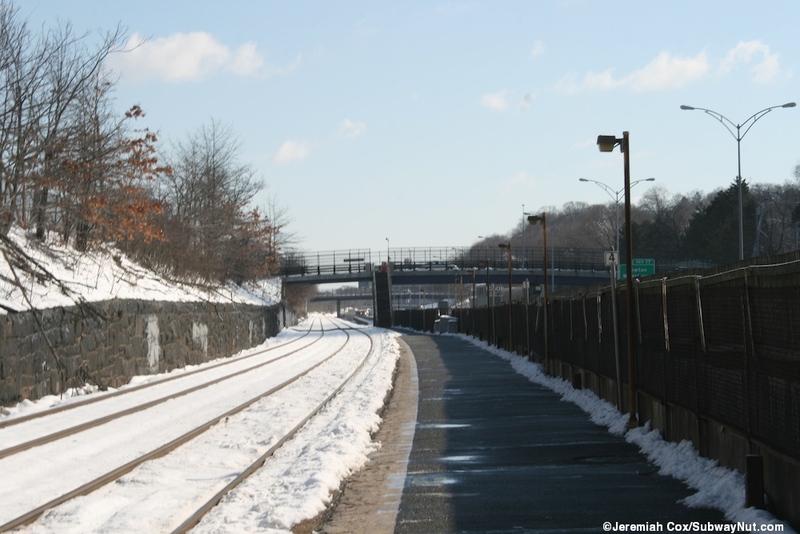 The station stop is still listed as an Amtrak stop (without the Bay State stopping) until the October 1973 timetable. 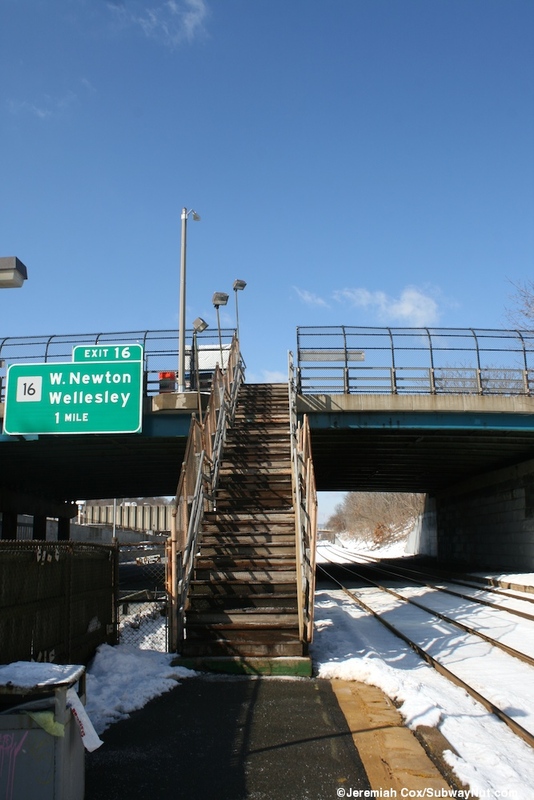 The Boston section of the Lake Shore Limited does bypass Newtonville as it begins or ends its journeys to and from Chicago. 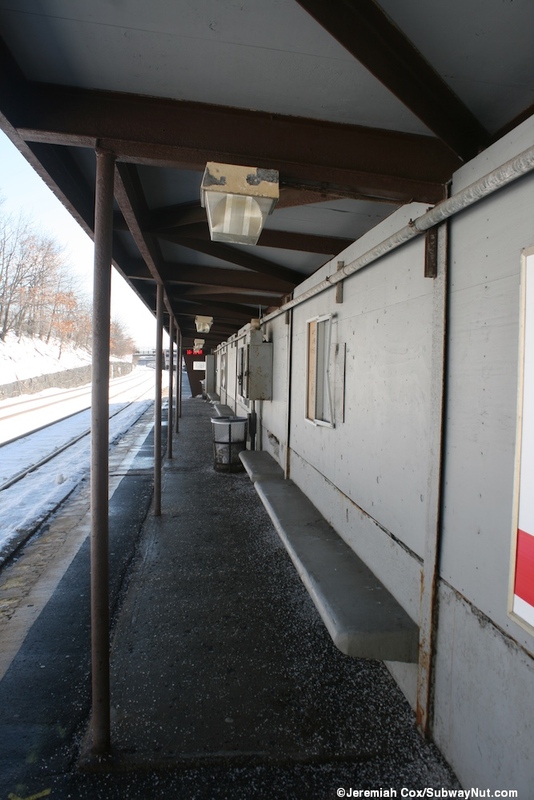 The station has a single long low-level side platform with a solid yellow line along the platform edge below the level of the rails. 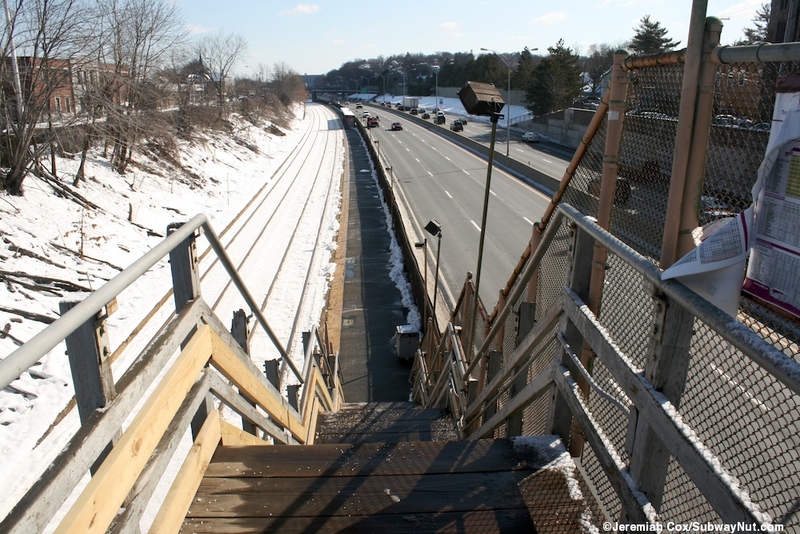 It has entrances at each end via a wooden staircase from overpasses across the railroad and Mass Pike. 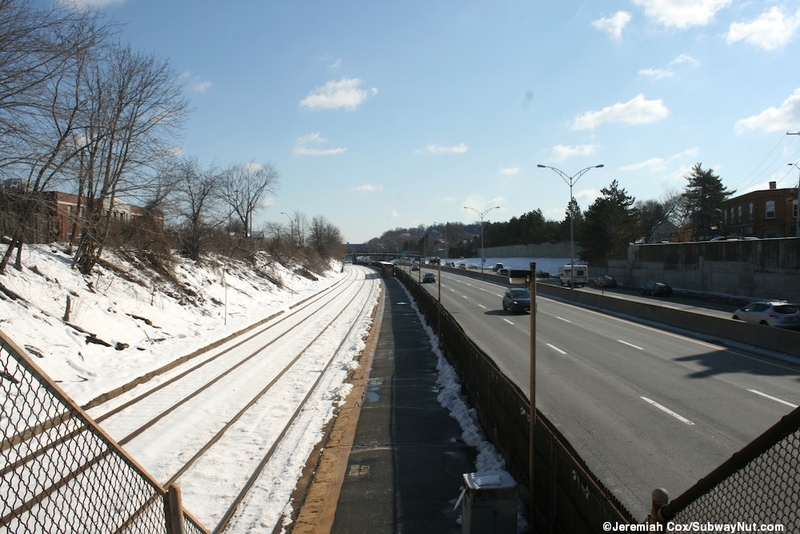 The western entrance is from Walnut Street and the eastern entrance is from Harvard Street. 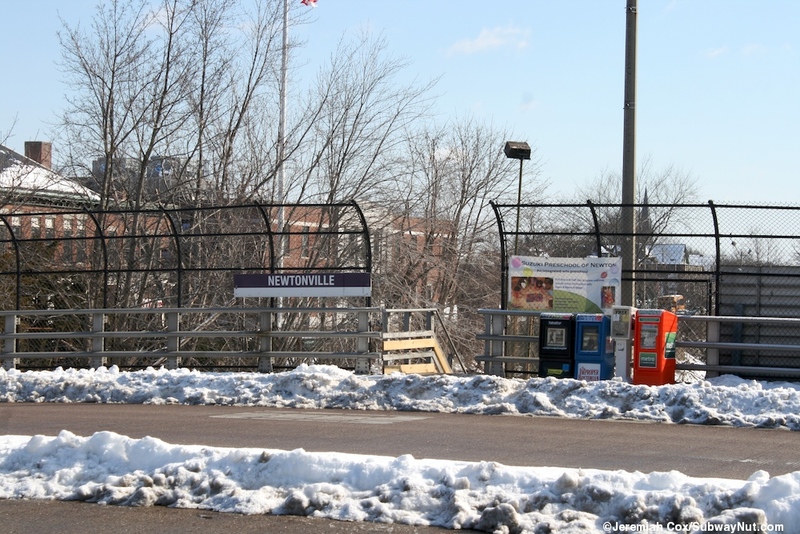 These entrances each have small standard commuter rail station signs that say Newtownville, and a posted timetable, although when I visited the Waltnut Street entrances had been vandalized and was displaying a previous timetable. 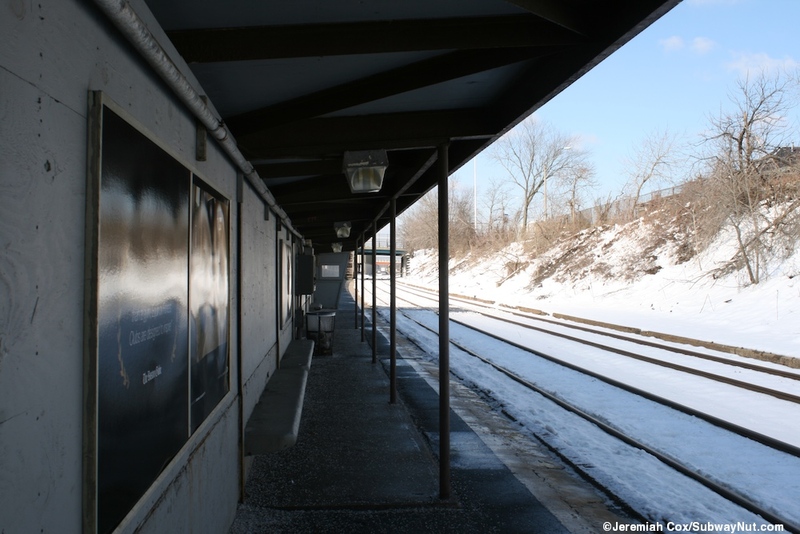 The platform has no real signage for itself. 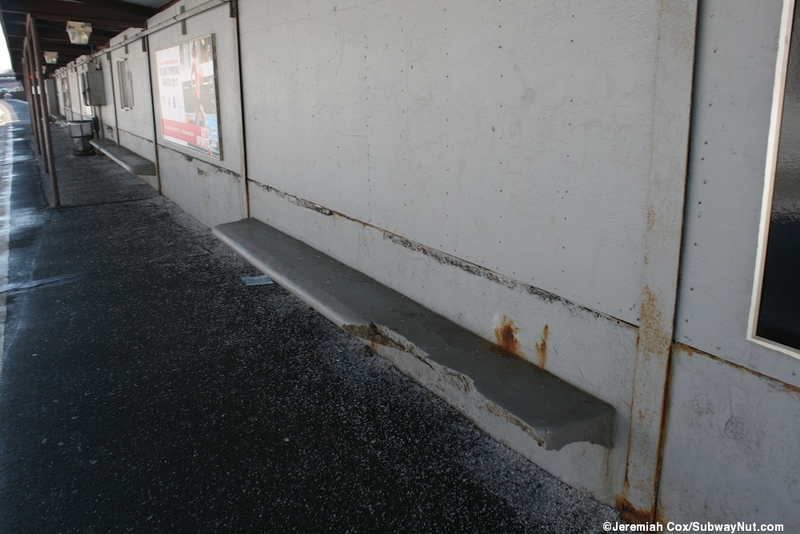 In the middle of the platform for about two car lengths is a decaying canopy shelter with a windscreen on the highway side. 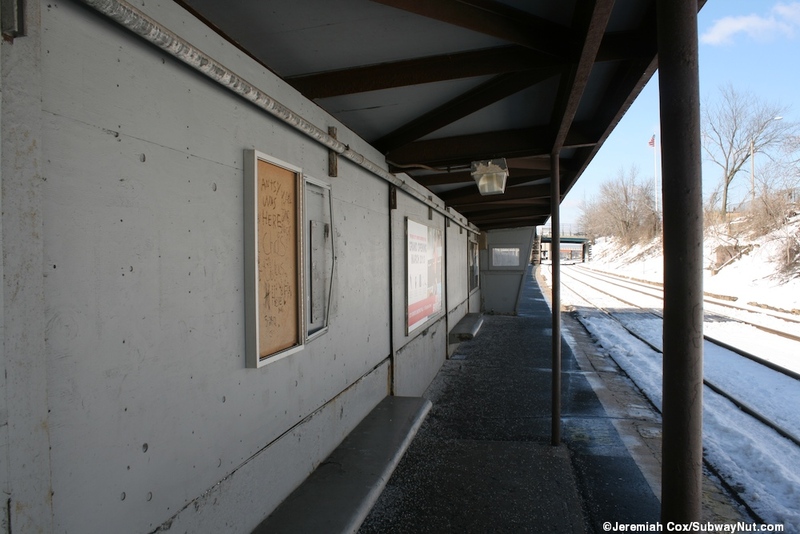 It is painted grey with metal framing complete with pillars along the edge of the platform that look rusty. 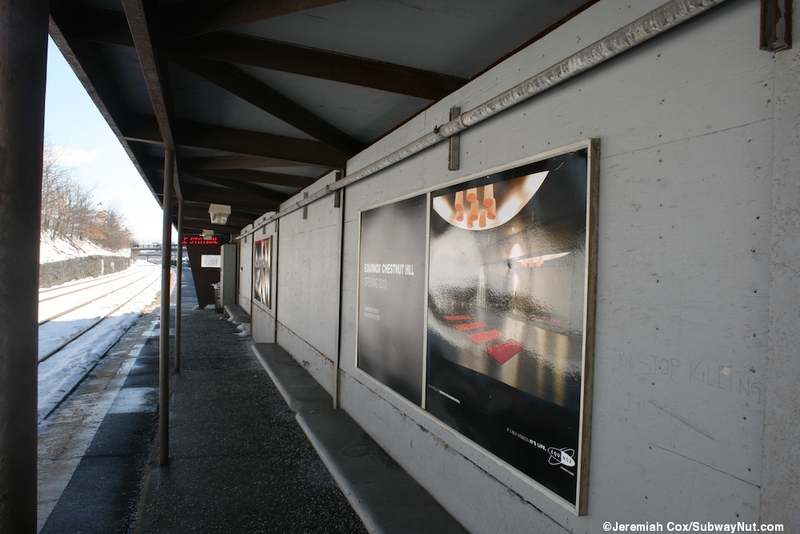 Along the windscreen are some advertising panels and built in attached to the windscreen concrete benches for waiting passengers. 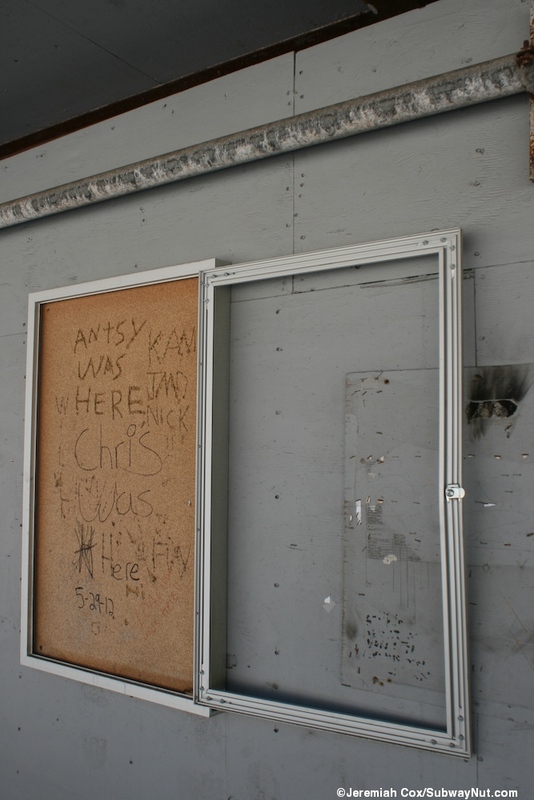 There is a single former information bulletin board (with a glass cover) but this has been opened and vandalized. 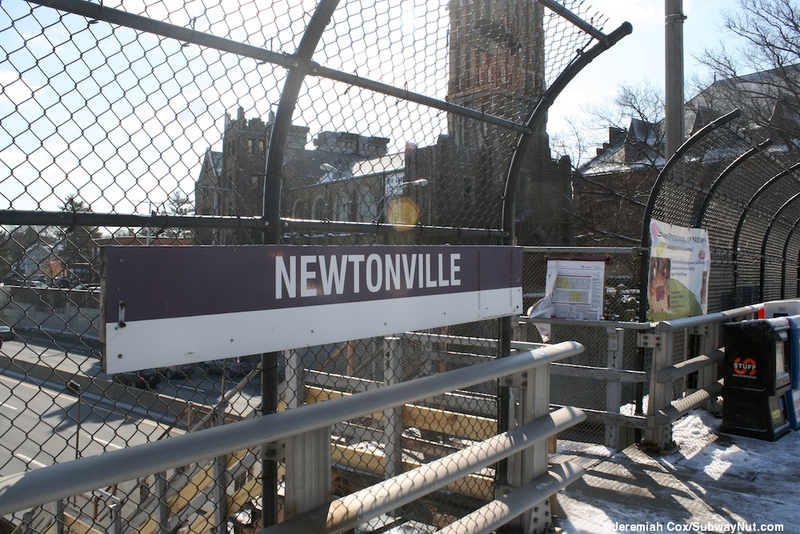 There are small windscreens (with tiny windows) at each end of the canopy that make the platform even smaller, at each of these little end areas is a LED variable message screen that displays the current time, 'Welcome to Newtonville' and when a train is scheduled to arrive will countdown to its arrival time. 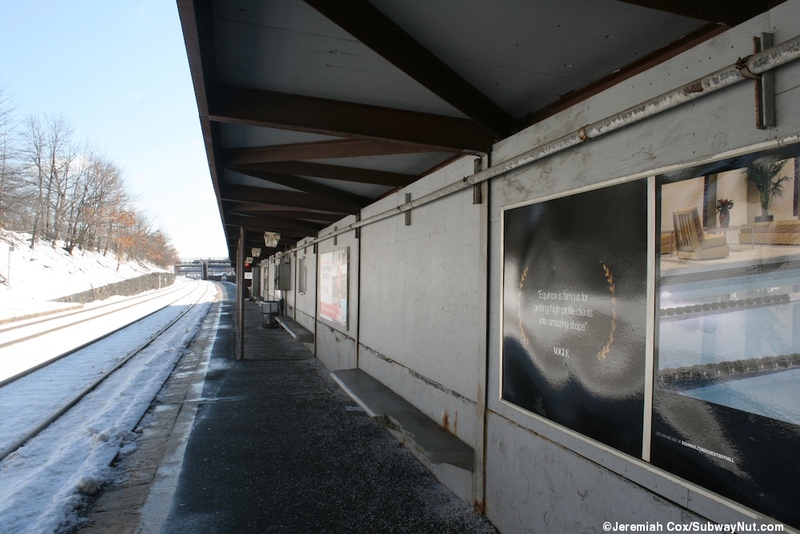 The exposed portion of the platform has a chain link fence with wooden bars to separate people from the highway lanes of the Mass Pike. This fence doesn't seem sturdy enough to contain a high-speed crashing car.